Contact Mr. Johnson at ljohnson@newark-legal.com or call (510) 794-5297 to set up a time to review your Probate matter. Although Mr. Johnson’s office is located in Alameda County, California, since 1980 he has completed over 125 probate matters (decedent’s estates, conservatorships and guardianships) throughout the State of California. Each of 58 State of California County Probate Courts have promulgated their own Local Probate Rules. 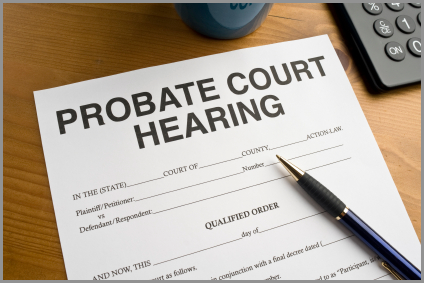 With respect to matters filed out of Alameda County, Mr. Johnson generally associates with Probate attorneys whose offices are located in the county in which the matter is filed so that the case will proceed expeditiously to a conclusion on a seamless manner. In addition to having appeared frequently in Alameda County Probate Court, Mr. Johnson has completed probate matters in the following counties as well: Contra Costa, Santa Clara, San Mateo, San Francisco, Butte, San Joaquin and Riverside. Probate matters frequently involve the transfer of estate real property. Mr. Johnson has contacts with numerous real estate professionals who are able to obtain the highest and best price in the event that it becomes necessary to sell the estate real property. On occasions in which two or more beneficiaries desire to retain real property as an investment, Mr. Johnson is experienced in the preparation of Agreements Among Heirs so that real property may be held by multiple owners each of which knowing his or her obligations. On many occasions, after completing a probate matter for his client, Mr. Johnson’s services have been retained for the purpose of preparing the probate beneficiary’s “Living Trust” in order to avoid a probate in the future of the beneficiary’s assets. Contact us to set-up an appointment 794-5297 (LAWS).